Regency Ceiling Tiles is rated 5.0 out of 5 by 2. 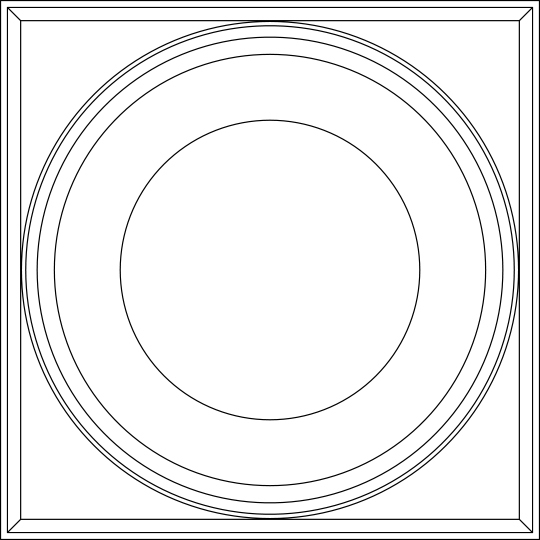 Regency Ceiling Tiles have a projected, circular center-feature that is sure to impress. Made from our Feather-Light Series 0.013 in. thick vinyl plastic, they are unlike any ceiling tile you will ever see or feel. You may be surprised by their minimal weight, but their thermoformed design combined with the inherent strength of vinyl makes these tiles rigid, durable, and easy to install and maintain. The “lume” in Ceilume stands for ILLUMINATION, and with our Transluminous™ Ceiling Tiles we give you three unique ways to let the light shine in, whether you want localized lighting effects or a fully illuminated ceiling. 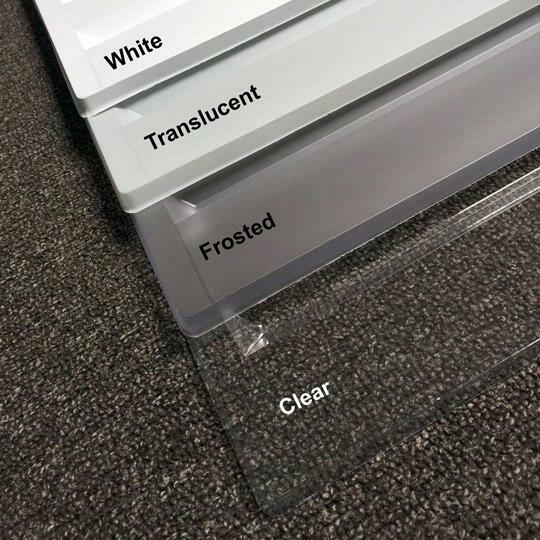 Our frosted material has no pigment, allowing greater light transmittance than translucent, yet still providing some light diffusion. Place tiles directly beneath lighting fixtures in traditional interiors, or throughout the entirety of your installation for a fully-illuminated ceiling effect. Can these be hung over existing tiles for extra sound barrier? 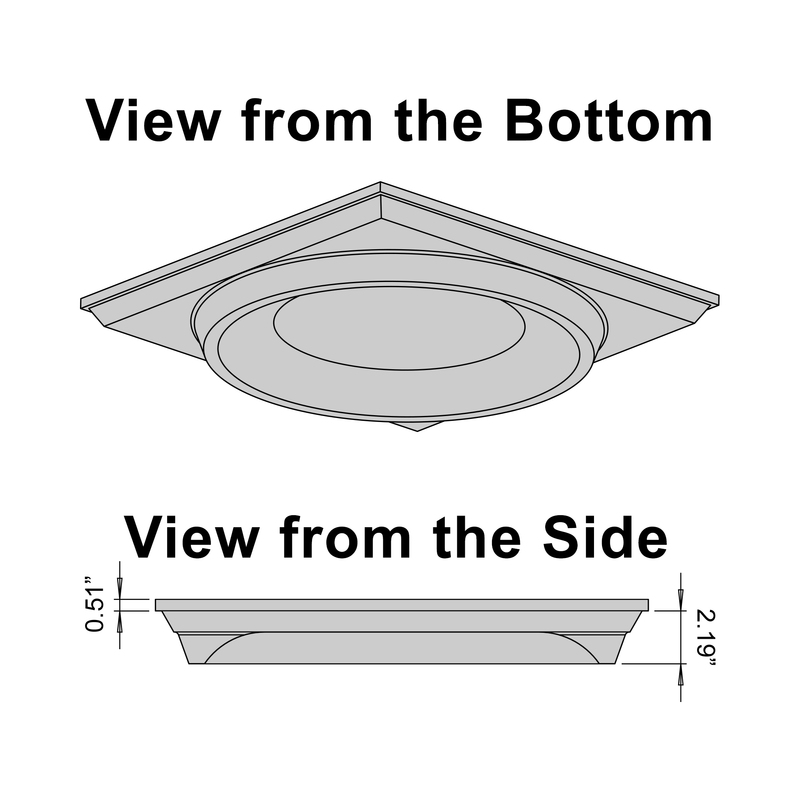 The Regency tile can only be installed in the ceiling grid by itself; the tile has a lip around the perimeter on the back of the tile which gives it rigidity but doesn't allow you to install a mineral fiber tile on top of it. You can view all of the Ceilume tiles that are suitable for &quot;Refacing&quot; an old mineral fiber tile by following this link: http://www.ceilume.com/shop/ceiling-tiles/Refacing/ Feel free to call us at 800-557-0654 with any questions. Rated 5 out of 5 by Thomas MacAllister from The tiles are just what I wanted. They are light and easy to install and are strong enough to stay rigid and uniform. They really matched my expectations.